I have been taking some time off recently and catching up on some much needed rest. Part of my regime has been finding a bunch of TV shows I have been meaning to watch and going through them. One of those shows is Elementary. I am a huge Sherlock Holmes addict. The recent versions with Benedict Cumberbatch and Robert Downey Jr. have been interesting, but Jeremey Brett will always be my Sherlock. 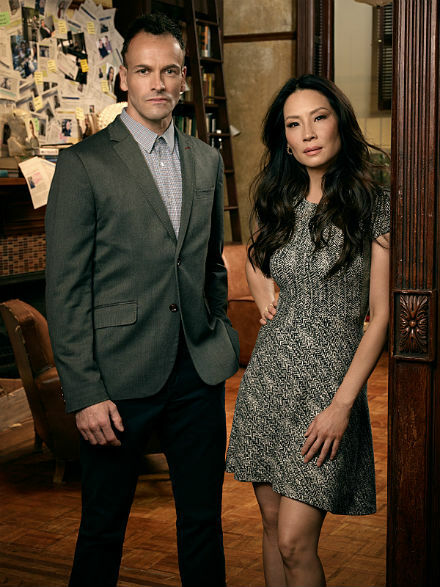 Besides updating to modern times, one of the big selling points of Elementary has been gender switching several of the more prominent characters in the Holmes canon, namely the role of Dr. Watson. I want to talk a bit about something I feel that they did right with this that I would like to see more of in the future. In the original Holmes stories, Watson is Sherlock’s roommate and side kick. He acts as the reader’s eyes and ears reporting what a “normal” person would see and generally most of the resolutions in the crimes come as a surprise because Watson does not observe what Sherlock does, which makes it difficult to guess what the resolution of the stories will be. In Elementary, Watson starts out as a sober companion for Sherlock, but eventually transitions to being his protégé. He sees potential in her and he helps her cultivate it. This Watson is a dynamic character. Her skills grow and evolve. This is different than the static Watson character in the original stories who is purposely kept somewhat dumb to allow the reader to enjoy the story. A lot of this dynamic spoke to me on a personal level. Programming is a rather new field that is primarily male-dominated. All of my mentors have been men. I often wonder if men ever get to be mentored because there is an inherent social dynamic that seems to make it easier for men to mentor women. Our society assumes that women take a subordinate role and it’s simply easier when you are a woman to approach a man and ask for help and for guidance. This can have a pleasing feeling for both people because the man feels important because he gets to instruct and train a subordinate and the woman feels important because someone she respects and admires has chosen to take time out of their life to pass on knowledge and wisdom to them that they aren’t passing down to anyone else. When you’re first starting out, this can be a very comfortable and emotionally rewarding relationship. However, like all things, this can’t last. At some point, the protégé starts to bump up against the edges of the relationship. The protégé wants to be acknowledged. They want to have their new skills be recognized and leave the nest and be seen as an equal. This can make the mentor very uncomfortable. Their entire relationship is predicated upon being the source of knowledge. Once the protégé catches up to the mentor, it can cause a lot of issues. It can make the mentor feel very upset because they feel they’ve lost their identity as the person who knows everything. Sometimes the mentor succumbs to the urge to try and cut their protégé down to keep them in the subordinate role because that is where they feel comfortable. Other times the mentor can become upset that the protégé wants to be seen as an equal. The mentor has spent decades honing their craft and this upstart person wants to be seen as an equal without putting the work in. This relationship is very reminiscent of a parent/child relationship. At some point you realize your parents don’t know everything. Our relationships with our parents change as we get older because they must. Sometimes our parents cut us down to try and maintain the control over us that they have gotten used to. They want us to succeed, but not too much because it threatens their sense of self worth. A mentorship relationship is more fragile than a parental relationship because of two reasons. One, our parents will always be our parents. As much as we might argue and fight with them, there is a blood tie that can’t be broken. The second is the one I mention at the beginning of this post, the gender thing. One thing that I respect Elementary for is the fact that, as far as I have gotten, there has been no effort to force Sherlock and Watson into a romantic relationship. All of their conflicts have been able to explore the mentor/protégé relationship without having to stoop to the cliche of putting them together in a romantic relationship. I greatly admire the fact that the writers have been able to craft a compelling story about the mentorship conflict in a completely platonic context. As the person who has been in the protégé role, I want my mentors to see me as an equal. I want to show them that they were right in sharing their wisdom with me and I would like to show I can manage on my own without being dependent on them. Joan Watson is similar. She wants to be a detective in her own right. Sherlock doesn’t want her as an equal. He wants to keep her as a subordinate. They fight over her need to be her own person and not an extension of him. Both characters have had romantic relationships with other people, so this isn’t a generic, Aspie asexual stereotype. The relationship between Sherlock and Watson is based on professional admiration and respect. Watson gets frustrated when Sherlock won’t give her the professional respect she feels she has earned. I have found it incredibly compelling to watch this relationship being explored. It’s a painful situation for both Sherlock and Watson. Both of them are right. Both of them have been hurt by their evolving relationship. But it’s a necessary pain for them to experience so both of them can grow and change. I spoke about mentorship at CocoaLove 2015. I wanted to give advice to both mentors and protégés. I want to reiterate some of it now. If you are a protégé, at some point you need to step out on your own. It’s comfortable and safe to be under the wing of someone with a lot of experience, but at some point you need to succeed or fail on your own. You will stumble a lot, but that is how your mentor learned. They stumbled and have given you advice about how to avoid the same stumbles they took. You will learn best through your own stumbles than you will hearing stories of your mentor’s stumbles. If you are a mentor, please understand that this is a temporary situation. Don’t become so attached to the idea that you have to know everything that it creates a situation where you lash out at your protégé when they want to be seen as an equal. Your protégé has a lot of affection for you that can quickly turn into a toxic situation if you put them down in an effort to keep them subordinate to you. The best way for a mentor/protégé relationship to go is if both parties go in wanting the protégé to become independent. If you’re a mentor and your protégé doesn’t seem to want to walk on their own, try to push them to take risks and fall and learn from their experiences. Above all, remember that part of the reason you both entered into this relationship was because you like and respect one another. Just because your relationship changes as the protégé grows in experience doesn’t mean those feelings go away. This entry was posted in Career, Pop Culture, Programming. Bookmark the permalink.